The folk artistes performed various art forms that include Putola Naach (puppetry), Ojapali, Dhulia, Biya Naam, Aai Naam and Maho Ho. “We engaged folk groups from Chamata, Belsor, Gondhiya, Koihati and other places. The scripts and lyrics were prepared accordingly to make the voters aware of their democratic right and the necessity to have free and fair election,” Dev Choudhury informed. “I hail from lower Assam, which is very rich in folk culture. Unfortunately, many of the folk arts have lost their significance over the years. When I became the DC early this year, I thought of doing something to revive the dying art forms and what could be a better option than using them during our election, the festival of democracy!” Dev Choudhury told PTI. “After the drive was launched, we found that it is not fully correct to say that the present generation has rejected these art forms. The need is to present it in an attractive way. Thankfully, this drive has been successful in doing it,” said Dev Choudhury, who is also the District Election Officer. 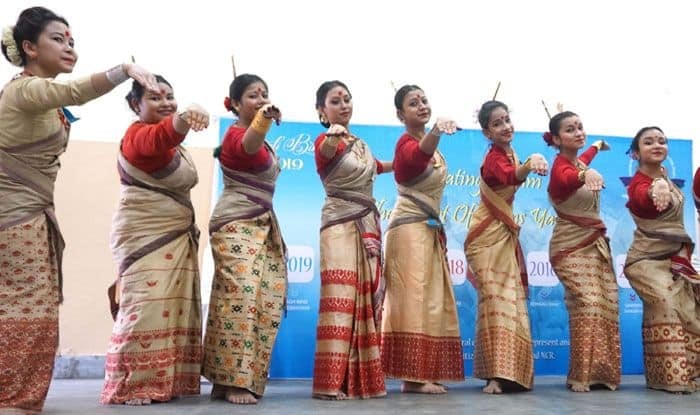 Eminent theatre personality Sitanath Lahkar, who has written and directed two plays and one television film on the dying art form of ‘Ojapali’, lauded Dev Choudhury’s initiative and said it will go a long way in reviving the folk art forms.